Hollyhocks Flowers and Cabbage Rose and among them, the tantalizing and irreverent fruits of the Pink Pepper. 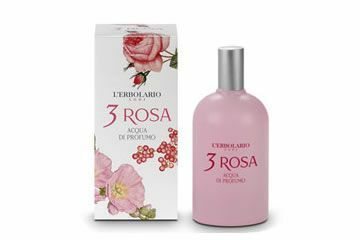 A bouquet of sweet and spicy fragrance together, created to pay a tribute to the most romantic and passionate femininity. 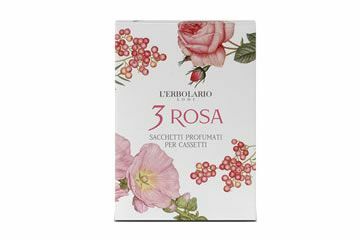 3 Rosa Bath Foam contains just the right blend of hydrating ingredients to leave your skin clean yet elastic and fragrant throughout the day. 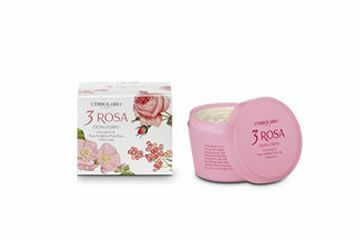 In addition to its captivating fragrance, this body cream also contains the ingredients needed to provide deep moisture throughout the day leaving the skin feeling elastic and non-greasy. 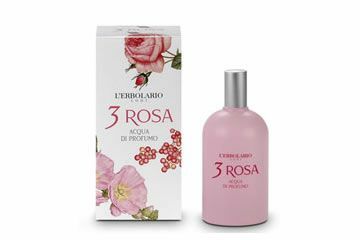 A fragrance that is at once seductive and refreshing, transporting all those enveloped by it to the “vie en rose”. 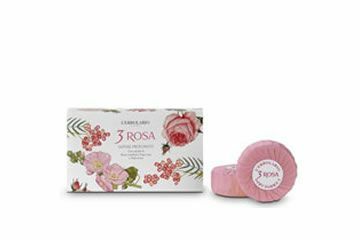 3 Rosa Soap Bars create a luxurious foam that cleanses even the most delicate skin types without irritation or drying.